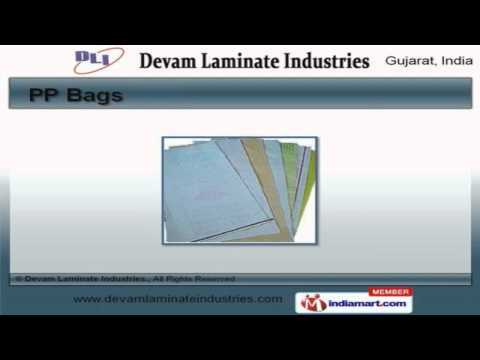 Welcome to Devam Laminate Industries, Manufacturer and Supplier of Packaging Products. The company was incepted in 2008 at Ahmedabad. Our products are applicable in Food Grain, Sugar, Textile and other industries. Complete customer satisfaction, Moisture proof and water resistant make us the first choice of our clients. We offer a wide array of PP Bags, HDPE Paper and Bags. Our HDPE Laminated Paper Bags are best in the industry amongst others. We offer HDPE Paper and Bags that are in huge demand across the global markets. PP Bags offered by us are appreciated amongst our clients for superior quality. Along with that we offer Woven and HDPE to Paper Laminated Bags that are available at industry leading prices. We also provide Paper Laminated HDPE Bags Manufacturers that are a class apart.